From the mean, steep, and short slopes of Proctor/Blackwater, I bring you a wipeout. This has all the makings of truly great crash -- early season, flat light, beat up course, girl with a bib rank almost in the hundreds. These are the things I give thanks for this time of year. The only think it's really missing is a Marker binding malfunction. Strange. Let's get to it! Sadie on the skis. Ted Ligety drags knucks? So do I! 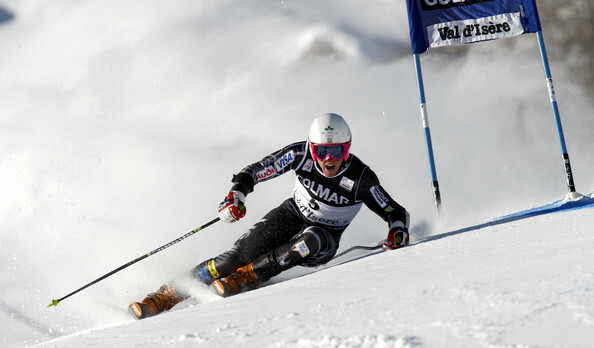 Ted Ligety lays that hip onto the snow for angles? Me too! So it's time to change sports! Nice backstroke Michael Phelps! Thanks to Caitlin for the photos! Merry Christmas everyone! Crashes to theamericanmob@gmail.com. Slalom Ace out.